Codename: Savage, PlayerUnknown’s Battlegrounds’ newest map, is now in testing and it has the game’s community excited. Rightfully so, because it’s one of PUBG’s best additions in quite a long time. 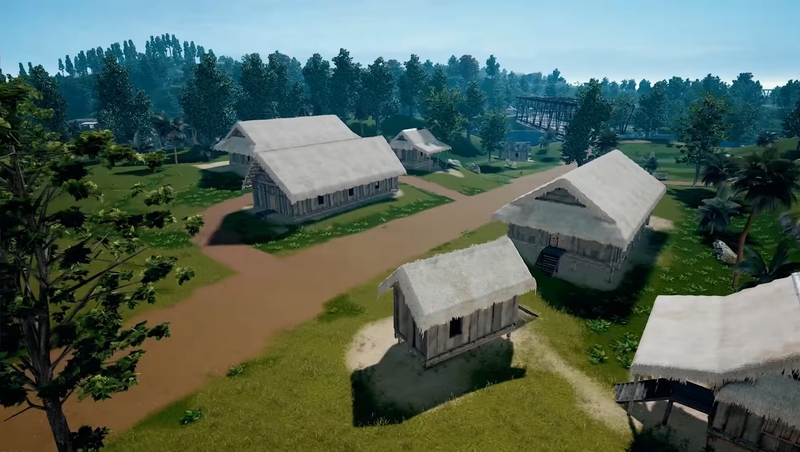 The main difference between Savage and maps like Erangel and Miramar is, obviously, that it’s much smaller. But the importance of the map’s size cannot be underestimated. Because of its size, you will immediately have more engagement and action. Landing almost anywhere on the map will likely find you near other players to compete with, meaning you will need to find a gun quickly to defend yourself, otherwise it’s back to the lobby to search for a match again. 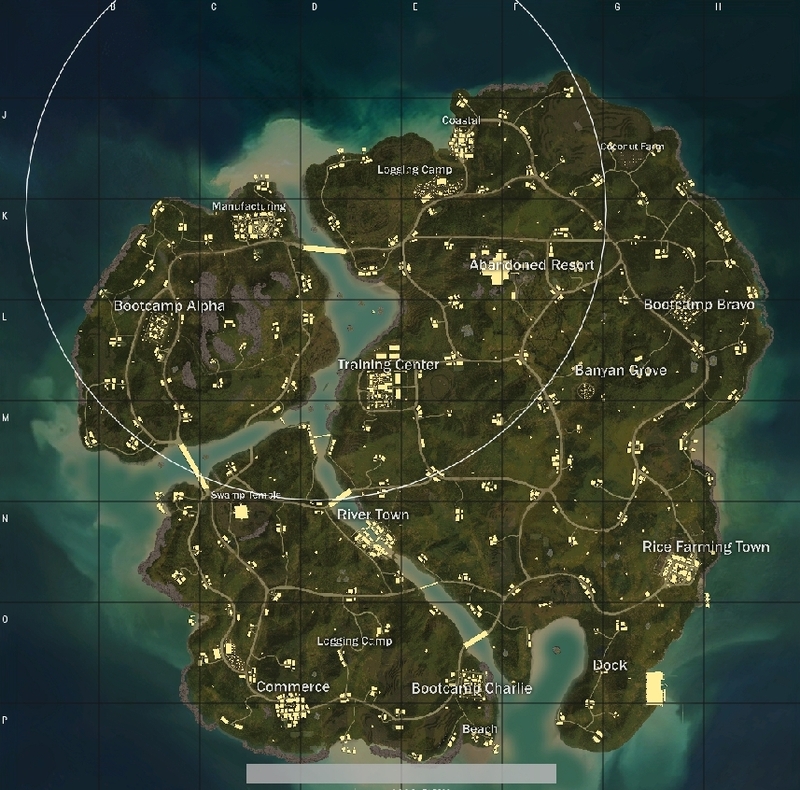 Another main difference on Savage is that the first circle is marked as you initially land, so you know where you’ll be heading before the action even starts. Once it does, though, you will feel the need to constantly move to stay alive, both from oncoming enemies and from the circle itself. The map is broken up in the middle by a river with bridges connecting all three parts of the island. Competitive play will undoubtedly see issues with the water on the map, as is the case with Erangel as well. There are a handful of high-ground advantage areas in this map, too. Large hills might give players a small advantage overhead, but trees and foliage make visibility difficult at times, and you will stick out like a sore thumb up high. Along with large fields with long sightlines, Savage is filled with smaller towns full of buildings that are rife for the possibility of camping or holding down a position for long periods of time. You’ll want to pick up flashbangs and frag grenades to clear out rooms before entering them. Right now, Savage is a loot paradise. There are way too many guns on the map in almost all areas and buildings, but that will most likely change throughout its development. For now, it feels good to land and know a weapon is not far from your reach. Overall, though, Savage is a breath of fresh air in PUBG, which can sometimes feel stagnant due to long periods of looting and lulls in the action. This are still there on Savage, but it’s not nearly as long or mundane. Codename: Savage is something different, and that’s a good thing for PUBG in the long term. Having options is not a bad thing at all.